Charming house, 58 square meters, located at the heart of the Drottningholm Palace just across the road from the palace / royal residence and the beautiful park. Newly renovated 3 rooms, kitchen and bathroom with shower and washing machine / dryer. Two antique tiled stoves. Private fenced in garden with a seating 8 people. Suitable for one person or couple as well as a family or company of 4-6 people. Pets are allowed. The guest house is just lovely. Very cosy, clean and contains everything you need. The surroundings are nice and quiet and located very close to beautiful Drottningholm castle and garden. Also very easy to go by public transport to the city of Stockholm. Thank you Bente, it was a pleasure being your host !Welcome back! 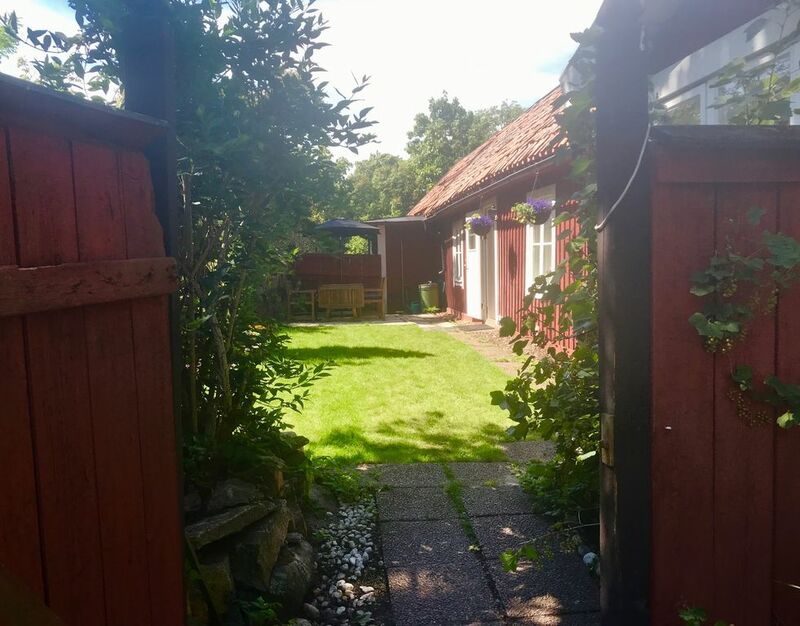 The cottage is situated in the secluded, idyllic area of Drottningholm Palace only 250 meters from the word heritage and royal residence Drottningholm Palace. Only 15 min. by car & 30 min by bus / subway to Stockholm city. At the same time very close to the countryside, perfect for walks in the beautiful royal park or in the forests near by! There is frequent boat traffic to the city during summer season and one can also be canoes and rowing boats at Brostugan in Kärsön, 1 km away. They also have a nice café and mini golf.